The single greatest thing about the #HMOSCHINO collaboration is that pieces in the collection can be pulled off equally well by either gender. Women look good in pieces from the mens collection; just picture the hoodies or baseball shirts worn oversized and you get the idea. Similarly, there’s no stopping men from wearing some of the items from the womens collection such as the baseball shirt dress (SGD139), ‘condom’ necklace (SGD94.95) or steel and brass chain necklace (SGD109) pictured in the lookbook pictures above. Jeremy Scott spares no expense in giving the men equally ‘loud’ pieces, with enlarged logos slathered on some of the RTW pieces. 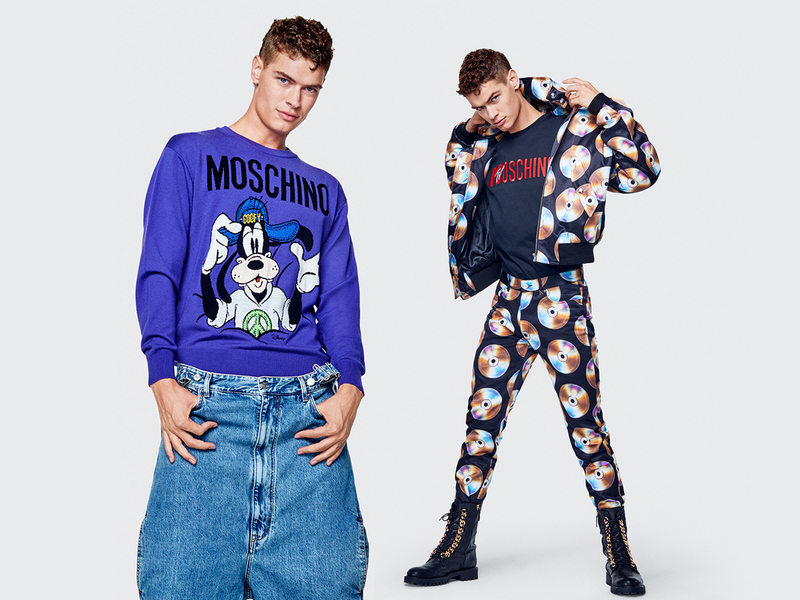 These include the generic sans serif MOSCHINO logo paired with Disney characters, M[TV]OSCHINO in a red and white font, as well as a H&MOSCHINO motif spotted on socks (SGD34.95), towels (SGD74.95) and tees (SGD44.95). If that’s not ‘loud’ enough for you, how about the ‘READY TO WEAR’ tee (SGD54.95) that’s literally a print of an unused rolled condom that’s ready to be worn. Fancy a little ‘bling bling’? 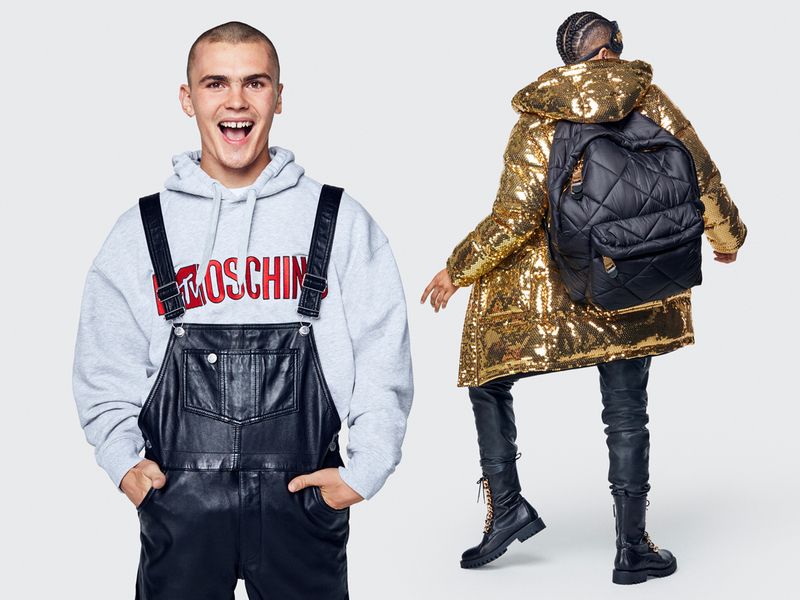 Get the sequin trousers (SGD159) that’s part of the mens (not womens, mind you) collection, or the gold down jacket (SGD449) that’s practically covered in gold sequins front and back. Even more pieces that come with a touch of gold include the charm cap (SGD74.95) with hanging alphabets, as well as the embellished joggers (SGD179) that comes with gold jewellery printed on for extra flair. The date to keep an eye out for? 8 November 2018, with more details to follow so stay tuned for more information!